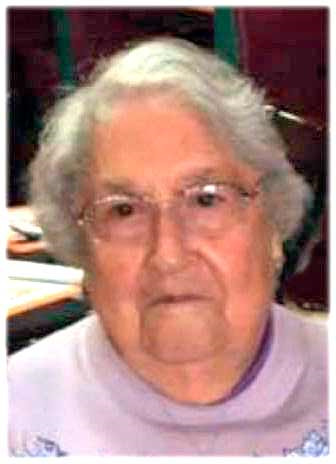 CONVOY, Ohio — Mary Lou (Stoner) Riley, 91, Convoy, went to be with her heavenly Father at 7:45 p.m. April 9, 2019, at Van Wert Health, Van Wert, Ohio. She was born June 13, 1927, in Liberty Township, Mercer County, the daughter of the late George and Sarah (Cordier) Stoner Sr. On Nov. 23, 1951, she married L. Ray Riley, who died on April 11, 2002. She was also preceded in death by four brothers, Russell Ferguson, Lester Ferguson, Frank Stoner and David Stoner; and four sisters, Carolyn Sue Van Tilburg, Rose Ann Stoner, Madonna Stoner and Lenore Hawkins. Surviving are brother, Edwin L Stoner (Yvonne), Marysville, Ohio, as well as many nieces and nephews, great nieces and nephews, and great-great nieces and nephews. She was a 1945 graduate of Celina High School. She and her husband Ray were retired farmers and they dedicated many years in the service of the Gideons. She attended Countryside United Methodist Church for many years, serving in a variety of capacities. Mary loved Jesus and sought to bring that love to others. She also loved quilting, gardening, popcorn and her family. She will be greatly missed. A celebration of Mary’s life will be held at Countryside United Methodist Church west of Convoy at 11 a.m. Saturday, May 4, 2019, with the Rev. Seyong Lee officiating. Calling hours are 9 a.m. until time of the service on Saturday. Interment will follow at Convoy I.O.O.F. Cemetery. Memorials may be given to Gideon International. Condolences may be forwarded at cowanfuneral.com.